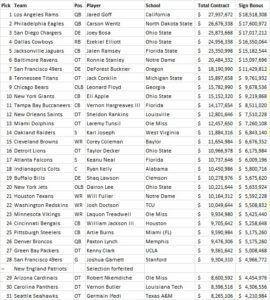 Tomorrow is the first round of the 2017 NFL Draft here is a look back at last year’s draft (2016) in terms of the average guaranteed dollars by round. So you can see there is a big drop off from the first round to the second round in terms of guaranteed dollars. 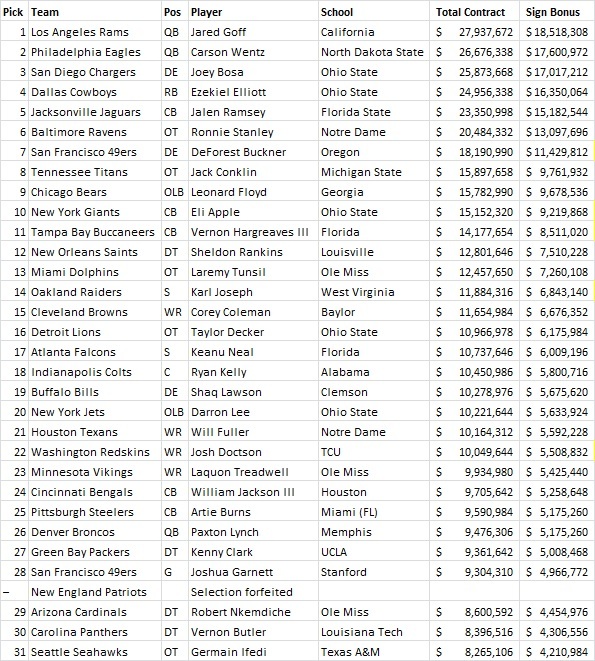 Below you will see a breakdown of all last year’s first round picks in terms of total contract (all 1st round pick total contract is guaranteed) and the signing bonus. So you see there is a huge drop off in terms of your total contact from being the 1st pick of the draft to even being the 16th pick in the 1st round. Between Jared Goff to Taylor Decker there is a difference of almost $17 million dollars. Because of amount of money that is on the line that why teams do as much work on not only the playing ability but the personal and back ground of a prospect. We see this year two prospect have had off the field issues weeks leading up to the draft that could cost them a lot of money in CB Gareon Conley, Ohio State (one time projected as high as top 15 overall ) and DT Caleb Brantley, Florida (one time projected in the 1st round). We will see what end happens with these two prospects when it is all said and done. 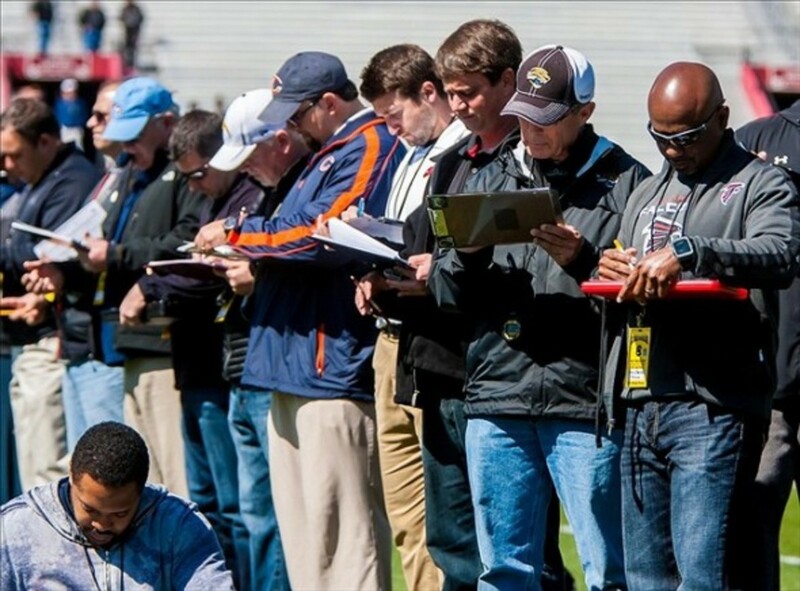 So as an NFL prospect you need to remember it is not just about how good of a player you are or can be on the field.